Paul Pogba has been a regular speculative figure in the transfer window this summer, after being linked with moves to Juventus and Barcelona. With Juventus cooling their interest, Barca were the club that remained keen throughout, as per reports. They signed Arturo Vidal last week, but have still been linked with the Manchester United midfielder. 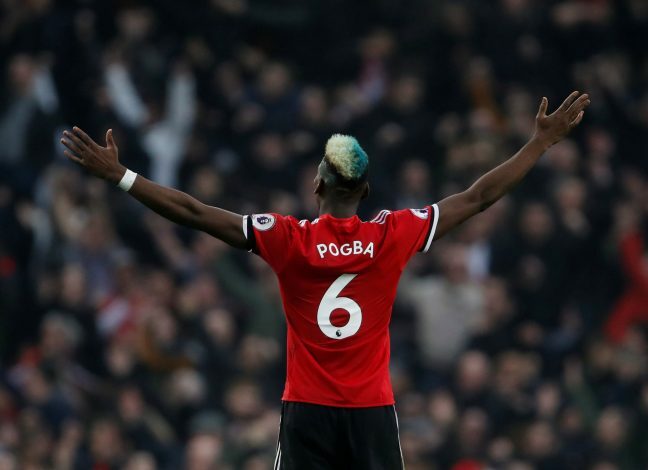 Now, as per a report by Gianluca Di Marzio, Barcelona tried to make an offer for Pogba, which included two of their players and cash, but United rejected the same. The Old Trafford unit supposedly has no intention to sell Paul Pogba, given the stage of the transfer window. The British window is set to shut down on Thursday. Moreover, Pogba had an excellent World Cup, and helped France win the trophy. Therefore, the Red Devils are desperate to hold on to the French international. As per the Italian journalist, Barcelona had offered defender Yerry Mina, midfielder Andre Gomes, and a sum of €50m for the services of the star midfielder. But Manchester United did not pay any heed, as they want Pogba to lead their midfield this season. The former Juventus player hasn’t enjoyed a positive relation with manager Jose Mourinho, as the Portuguese tactician benched him several times last season. But this season is crucial for both the personalities. United need trophies, and both Pogba and Jose can play an important role in helping the club achieve its targets. Fans will hope they can sort differences out, and focus on the job being completed.